Did you hear that project manager correctly? Was he or she talking about using robots on a future construction project? Does this mean that you'll soon be spending coffee breaks with See Threepio and Artoo Detoo? Those two will reportedly soon be very busy with Star Wars projects, but it's quite possible that your firm may have robotic co-workers in its future. Robots are now an essential part of manufacturing and shipping work. In households, they're vacuuming our rugs and helping us to get up and out of the house in the morning. In healthcare, they're helping the disabled to become ambulatory again. But given the usual mobility and outdoor settings of job sites, do they have any practical applications in construction management? After all, most robots used in industry are literally stuck in their jobs. But just as construction digital technology is becoming ever more mobile and nimble, so is the science of robotics. While they don't resemble the disturbingly human (and murderous) robots of Westworld, current generations of robots are being increasingly designed to function in "uncontrolled environments". These machines can "walk" and move around increasingly large areas operated by controls. And while they don't yet have the abilities or personalities of our favorite movie robots, many of these real life new generation robots can interact with humans and follow their instructions. This means that a site superintendent could instruct a robot worker to lay bricks, inspect areas of building sites, set up scaffolding, make road repairs, and perform many other site tasks with minimal supervision. These increasingly sophisticated robots are also able to work with and take instructions from other robots, meaning that future construction site foremen may one day bear a striking resemblance to Artoo Detoo, after all. The advantages for project management in utilizing these robots are easy to see. 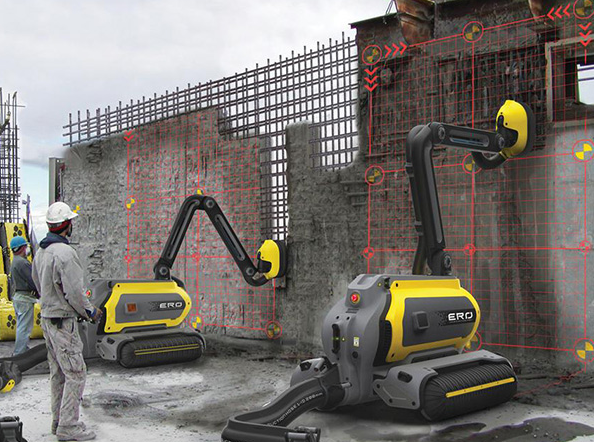 Properly programmed and operated robots at construction sites could be faster, safer, more efficient, and make fewer errors at job sites. Back injuries would be fixed easily and with little complaint, and there would be fewer last minute requests for time off. And given the current industry dilemma of not enough skilled workers, literally making your own does sound mighty attractive. So should a general contractor be worried about being replaced by the Terminator? Not just yet. 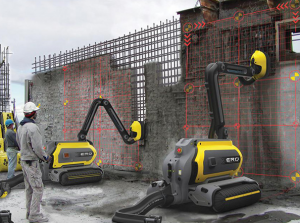 Construction robots with practical applications for semi-independent construction work are still in the experimental stage, and experts say it will probably be decades before you see them taking over many of the manual tasks now performed by humans at these sites. But they agree that the day is coming when no one will blink twice when they see Robby the Robot driving that backhoe, or pouring cement. So rather than rage against the machine, firms should be preparing themselves and their employees now to work with this equipment to insure efficient sites far into the future.